You’ve done it! You’ve made it through the accelerated training email series. All that’s left is to prepare yourself to take the Level 1 Certification Exam. As a reminder, the Level 1 exam consists of 2 parts. Part 1 includes multiple-choice and categorisation (drag-n-drop) questions. 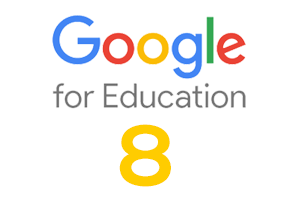 Part 2 consists of scenario-based tasks within a demo G Suite for Education account. You will receive the log-in information for your test G Suite account after you register for the exam. You’ll have 3 hours to complete the exam. More questions? Read through the Certification FAQ page. As I’m sure you tell your students too, one good way to reduce test-taking anxiety is to be well-prepared. If you’re still not feeling comfortable with the content, please take the time to review the Training Centre further. Check out additional sample questions. Choose the device that you’ll use to take the exam. It must have a working webcam and the Chrome browser installed. Pick a time to take the exam. We recommend that you register for the exam 1-2 days before you want to take it and that you devote 3.5 hours on the day you take the exam. This includes time for setup. Test that your webcam is working and enabled on your device. Find a quiet location with a stable wifi connection. Have water or any brain food nearby in case you feel fatigued during the process. Thanks for taking the time to seek your Level 1 certification. We hope that this content is useful for your classroom practice and that you feel as if you’ve grown as an educator. Best of luck as you get certified – you’ve got this!